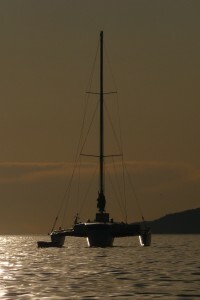 On May 1st 2009, I officially moved aboard my sailboat 'TIE Fighter' fulltime. People often ask about the name; there are two distinct reasons for naming her 'TIE Fighter'. The first, of course, is the 'Star Wars' reference. I have always been a rabid fan of science fiction, but alas, having been born about a century too soon, I have been forced to come to terms with the fact that I will never have my own spacefaring vessel. At the current rate of progress, there is a strong possibility that I will never even leave this planet in my lifetime! This boat is the closest thing to a spaceship that I will ever call my own, and the ocean is really the only frontier left to us right now. The second reason I chose the name 'TIE Fighter' is the pun - by moving aboard and shifting my life to a technomadic existence, I have removed the need for a cubicle job. If I play my cards right, I may never have to wear a necktie again. 'Tie fighter'. Get it? She is a Brown Searunner 37, a sailing trimaran eleven meters (37') long and seven meters (23') wide, and yet she only drafts about one meter (3') with her swing keel up. She has a center cockpit, and she is 'cutter rigged', meaning her mast is closer to the middle of the boat than your typical sailboat and she flies three sails rather than the usual two. She has somewhere around a hundred and fifty square meters of deck space, enough to comfortably host fifteen or more people for summer sunset cruises. Dual cabins, fore and aft, dual diesel furnaces for warmth, a 27-horsepower Yanmar inboard diesel engine, and oodles of space for storage. Outfitted for offshore sailing, she can easily support a crew of five for a month or more. That's not to say she came without problems - a boat of this size and pedigree should cost somewhere between $75k and $150k, whereas I got her for - oh, just around the price of a Volkswagen Jetta. I think that's actually pretty appropriate given that I'm thirty-four years old and have never owned a car, and at this rate it's starting to look like I never will. The guy I bought her from had only had her a year, with the intention of fixing her up from the previous owner's complete lack of upkeep, but he decided that he didn't have the time or energy to pour into her. At least, that's what he told me - the past few years I've poured my heart, soul and wallet into her, getting her up to the point where I'm now comfortable taking her far out into the open ocean. There are always more projects to tackle, but the lists of "needs" is now pretty much non-existent and we're left with just a shorter list of "wants". She is a wooden boat, built of marine-grade plywood and cedar stringers, skinned with epoxy and fiberglass. There is a great deal of controversy around wooden boats vs. the more modern fiberglass hulls, with each side having valid points. Some of the more nostalgic (or perhaps senile) old salts claim that wooden boats, being made from living material, have a soul. I would scoff, but for the sense of safety and well-being I get when I am aboard her. I have literally put my blood, sweat and tears into this vessel - the work has been physically and mentally exhausting, but it has also been incredibly rewarding. For instance, in the past fifteen years of my professional career, I cannot point to a single thing that I have built that is older than three years. Hundreds or thousands of hours poured into projects, each slowly becoming obsolete and retired or deleted. 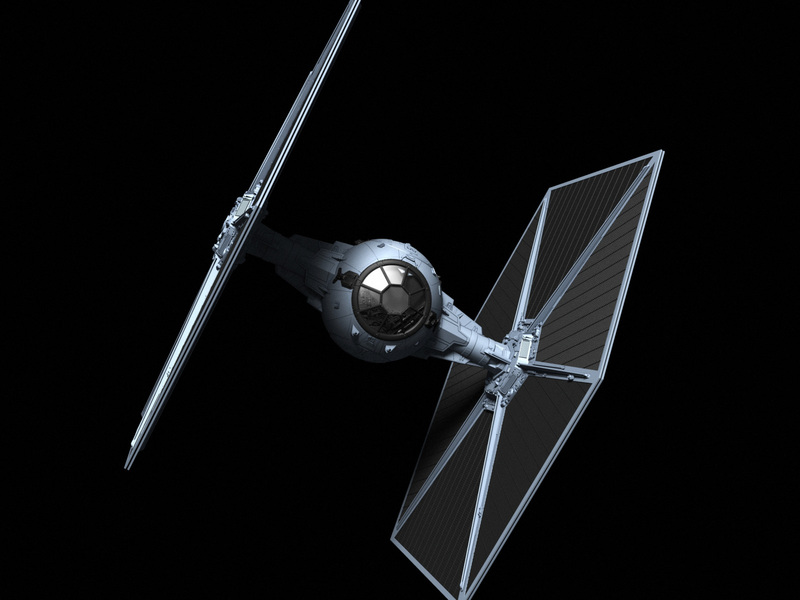 Working on the TIE Fighter has been incredibly empowering - there has been a hugely steep learning curve, but the more I learn, the more I realize that there is not a system on this vessel that I cannot become the master of. I never thought I'd be a diesel engine guy, nor did I ever really feel a drive to be (pardon the pun), but I know that with effort I will be able to learn. I have become quite proficient with epoxy and fiberglass repairs, 12V electrical systems design and maintenance, and my wood shop classes from junior high have come back to me, albeit slowly. Ever since moving aboard, my life has been a constant running adventure. I am in love with my ship. That is an awesome story! You should be extremely proud of yourself. 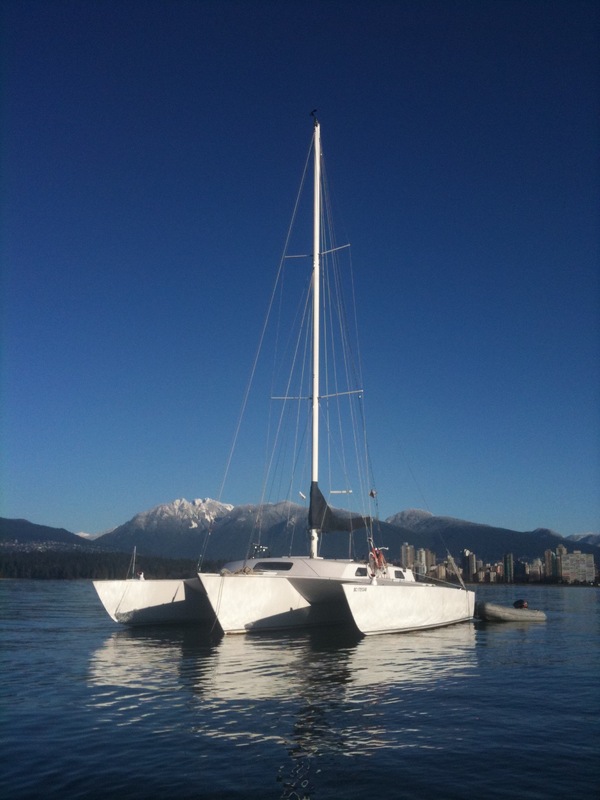 I myself am saving up to buy a trimaran to live aboard. ENJOY YOURSELF!